The Vikings lost to the Dolphins Sunday putting them in an 0-2 hole to begin the season and as expected, fans are getting restless. 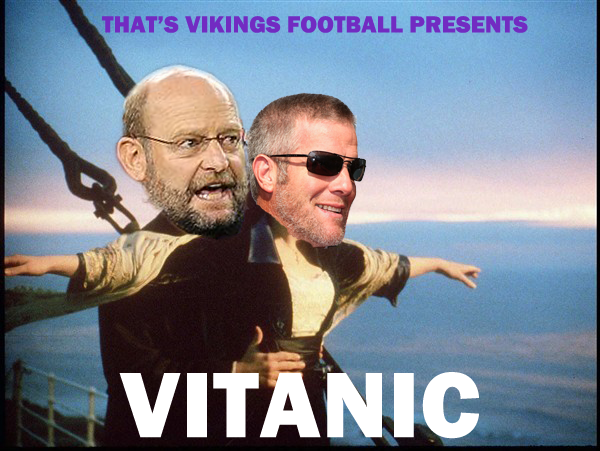 I’m usually a glass half empty guy but I’m optimistic the Vikings can still have a good season and make the playoffs. The Vikings moved the ball on offense up and down the field but turnovers and failed 4th down conversions killed them. Favre threw 3 interceptions in the loss and at least one was on the receiver when Harvin tipped the ball on the one yard line and it was picked off. The other 2 picks basically were passes Favre threw to Berrian expecting him to make a play on the ball like Sydney Rice did last year, which we all know he can’t do. They still were in the game because of the defense that only gave up 7 points. If it wasn’t for Favre getting stripped in the endzone for a touchdown, the Vikings could easily have won the game even with all of their turnovers. I think the Vikings will get this thing straightened out but for now this is what a lot of fans and some media types are thinking of the season. We all know how this movie ends.